For business owners who use refrigerated trailers to deliver temperature-sensitive cargo, GoFleet’s wireless temperature monitoring system brings peace of mind. They do not have to worry about perishable items, such as meat, produce, ice cream or pharmaceuticals, arriving at the destination spoiled because the temperature in the trailer was too warm or too cold. Unlike a temperature recorder, a wireless temperature monitoring system does not just note what happens en route so the data is available if an issue arises. The GoFleet wireless temperature monitoring system uses wireless technology to let you know if there is an issue with the trailer temperature in real-time. The moment the temperature is out of bounds, you can correct the problem before the products go bad. With a temperature recorder, dispatchers do not find out about the problem until after the load is spoiled. When your business uses GoFleet’s wireless temperature monitoring system, you no longer have to rely on the truck driver to let your dispatchers know if there is a problem with the trailer temperature. They need to focus on getting your load to its final destination. They might miss the warning signs that something is wrong with the refrigeration unit in the trailer. Even if they do notice something is not working properly, they might forget to call dispatch to let them know about the problem. In the meantime, your valuable temperature-sensitive cargo is going bad. The temperature monitoring system, will let you know the moment the trailer temperature goes out of range. You can arrange for a repairperson to meet your driver en route. The repairman can get your trailer’s refrigeration unit fixed before your cargo is affected. 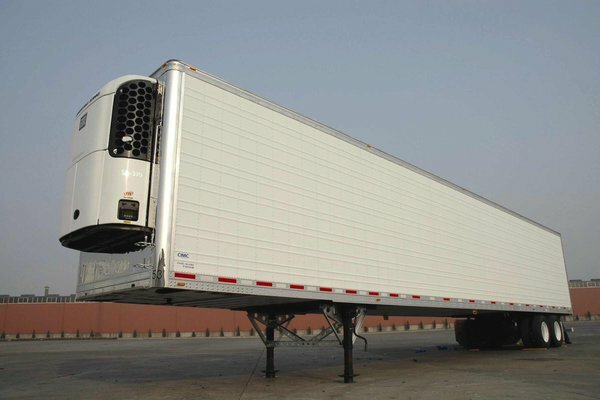 Making sure your refrigerated trailers maintain the proper temperatures not only saves you money because your cargo does not get spoiled, it keeps customer satisfaction high. Customers are very disappointed with a company when the products they ordered are delivered at the wrong temperature. These types of issues can ruin your business reputation and cause you to lose customers. On the other hand, if you deliver quality products consistently, you will have high customer retention rates, a good reputation and gain more business.